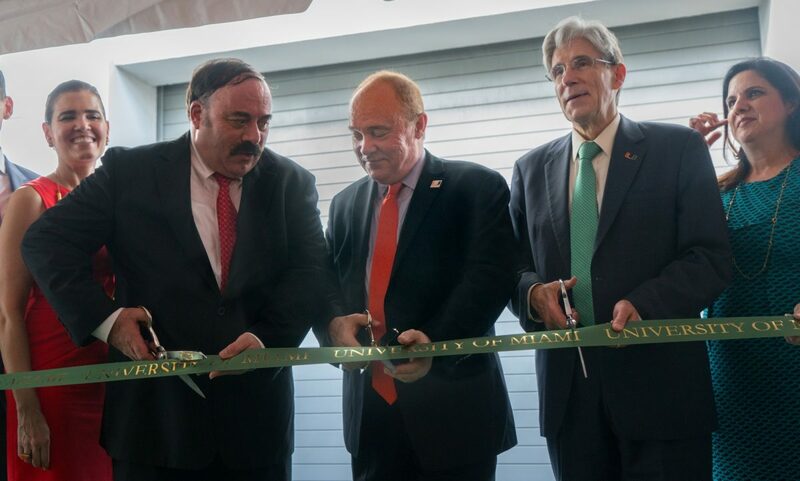 The College of Engineering hosted a ribbon-cutting ceremony Oct. 23 for its new “Collaborative Laboratory,” a 3D printing lab that the University of Miami partnered with Johnson & Johnson to create. The university will now have one of the most advanced university-based 3D printing labs in the United States and the technology to take engineering education into the 21st century. 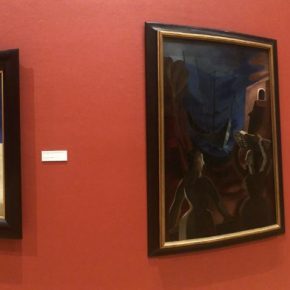 The ceremony, attended by faculty, donors and alumni, marked the end of a nearly two-year project. UM President Julio Frenk said at the ceremony that this laboratory will enable the academic leaders on campus to create new, challenging, forward-thinking curriculum for students. “It’s one of the best things that could have happened to the school,” said German Acosta, a junior majoring in aerospace engineering. Acosta started working in the lab over the summer and is one of six interns who will work alongside Johnson & Johnson engineers throughout the year. The interns will get firsthand experience with professionals and help with manufacturing approved projects for outside students and professors. “There is a lot more you learn from being on the job with people who know what they’re doing – and have done it for a while – than you do in the classroom,” he said. All engineering students will be able to use the printers for work related to academic projects. “The fact that it’s an open resource to get anything printed for your project is already a valuable resource in itself,” said Jose Lardizabal, a senior majoring in mechanical engineering. Future UM engineering students can expect to use the collaborative laboratory as early as freshman year, College of Engineering Dean Jean-Pierre Bardet said. From there, students can move on to more complex projects, such as designing joint replacements and facial reconstructions, as they become more skilled. UM alumnus Joseph Sendra serves as vice president of manufacturing and engineering technology at Johnson & Johnson and was one of the people who developed the partnership to make the state-of-the-art lab a reality. Oct. 23 marked the first day that UM donors and students were able to tour the new laboratory. Frenk said the lab will offer a place for the top scholars the university has recruited over the past few years to be experimental with their work.